Here's what you need to know. The event is free and open to the public. 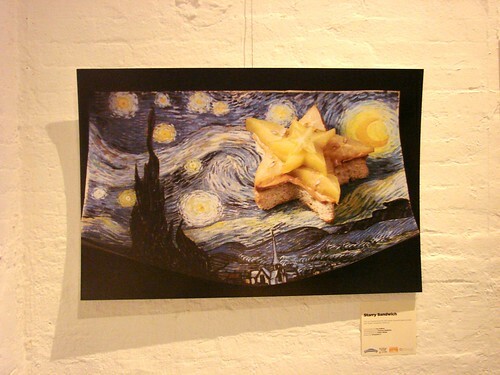 There's photographs of some pretty outrageous peanut butter sandwiches on display conceived my Mr. Peanut Butter himself, Lee Zalben of Peanut Butter & Company and you can create your own PBJ art. 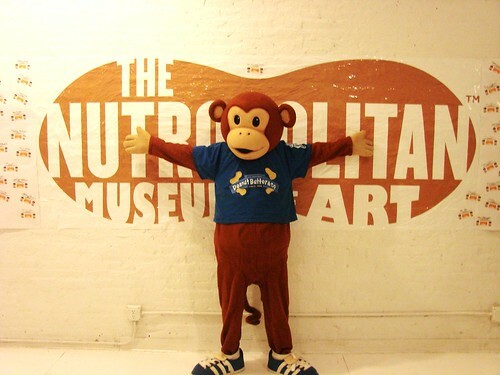 Possibly best of all, visitors will receive a free jar of Peanut Butter & Company Peanut Butter AND PB & Co will donate a jar in your honor to the Food Bank of New York. * So full of win. *One jar per family and while supplies last. I think this is such a cool idea and I wish I was in NY and could see it. Now this is the life! What a great adventure you have. I agree with Vivienne - what a great adventure you have! @sara: sorry you missed it! I think PB&Co is going to be tweeting or blogging different sandwich pics. @vivienne and eiaine: can't complain!